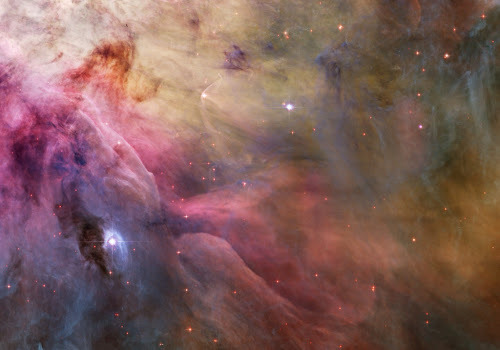 LL Ori is the name of a star in the Orion nebula. This young star produces a stellar wind that is much powerful than our sun's, who is not so young anymore. In this beautifull photo you can see it on the left, burning like fire. One can see the nebula and some of its stars with a naked eye if the night is clear. We shoud tell our chidren more about what's happening in the skyes above. Going to an observatory shoud be a good start. NASA has wonderful pictures of the universe that children can see on the screen. However, knowing that they can see them for themselves if they know where to look is another kind of experience.